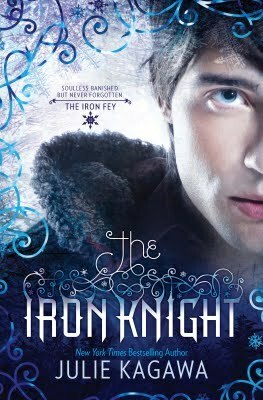 From Goodreads: Ash, former prince of the Winter Court, gave up everything. His title, his home, even his vow of loyalty. All for a girl… and all for nothing. The ending to The Iron Queen made this a must read for me! I had to know if there would be a happy ending for Ash and Meghan. While I was seriously please there was a fourth book in the series I must admit to being a little apprehensive at having it narrated by Ash. As the brooding, mysterious and not very talkative (albeit GORGEOUS) faery we know (and love) in the previous instalments I wondered if having him narrate a whole story might change my feelings for him. Should I have worried? NO! I think I may love him even more now! I also loved Puck a little more in this. I'm glad to get this story - not just for Meghan and Ash - but because at the end of The Iron Queen I felt that Ash and Puck's journey has not been finished either. And I'm glad they managed to deal with their past and feelings towards Ariella. Grimalkin - oh how I love him! I just love the way he disappears at the first sign of trouble and how he seems to voice exactly what I'm thinking (but would probably never say out loud). So yes, I loved the ending to this. And the journey they all take to get there is thrilling and action packed - I really enjoyed it. I did, however, really miss Meghan. I think I'm so used to the three of them it seems weird not having her present for the entire novel - but I'm glad the last chapter is from her point of view. Now all I need is a certain summer faery to get his own book and I will be over the moon!